Evil rises in the latest Story Mode trailer for Injustice 2, with Gorilla Grodd standing tall as he prepares to deploy his forces, better known as The Society, from Gorilla City. The Society first appeared in DC Comics’ timeline in 1976 as a collection of super-villains who banded together to defeat the Justice League and those who stand for justice. 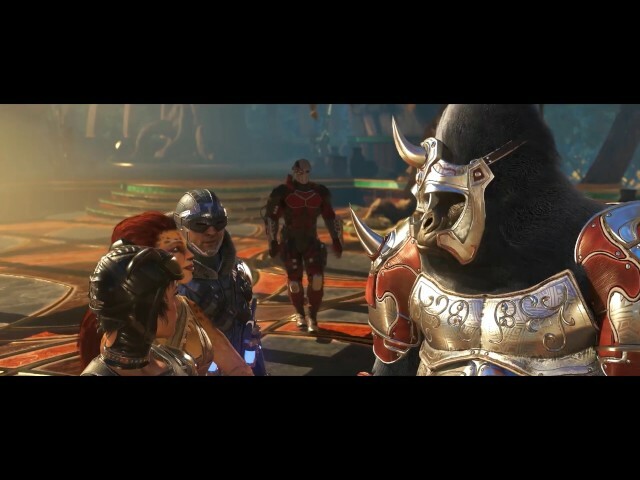 The trailer showcases its current members amongst the chaos, including Cheetah, Bane, Poison Ivy, Scarecrow, Deadshot and Catwoman. Stay tuned as we bring you further updates as the release of Injustice 2 draws closer! Be sure to like us on Facebook, follow us on Twitter, subscribe to our YouTube channel and keep an eye on our Instagram account for updates!